I have been leading dream groups since the 80s, when I first became licensed as an LPC in Virginia. 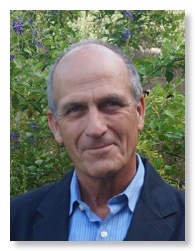 Please see my bio for more information concerning my background in lucid dreaming and dream analysis. Currently, I offer hybrid dreamwork training/personal dreamwork groups. 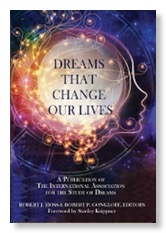 Some of the individuals in my groups attend primarily to explore their own dreams, while some also wish to obtain training in co-creative dream analysis, so that they can implement dreamwork more effectively in their own practice as a therapist or lay dreamworker. And some group members are seeking certification from DreamStar Institute, and are using the group as part of their practicum requirements. All members can receive Texas LPC CEs as part of their participation. Each group contains 5-7 individuals, who agree to meet for eight meetings initially. I use Zoom teleconferencing (Go to zoom.us for the software download) to facilitate a sense of full participation. We typically meet bi-weekly on a weeknight for 90 minutes, usually at 7:30 pm Eastern time or midday. The cost is $30 per session, and I ask each person to commit verbally to 8 sessions so that we can establish cohesiveness, and enter into a deep, enriching exchange. Process-oriented, co-creative dream analysis. I expect everyone to read a couple of articles on the FiveStar Method prior to participating in an online group. 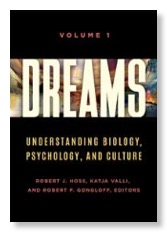 "A New Approach to Dream Analysis congruent with Contemporary Counseling Approaches,"
Non-invasive methods for exploring the meaning of dream images––such as Jungian amplification, and Gestalt dialoguing––in all cases! The dreamer is the final authority on the dream’s meaning. 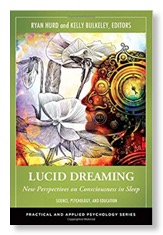 Ways to enhance dreamer awareness/lucidity in dreams. Spiritual practices that can deepen dream experiences. 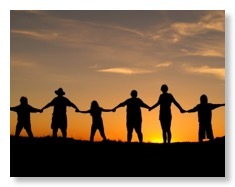 Group exercises that can assist you in reaching new depths of dream experience. A DreamStar online dream group cannot serve as a substitute for counseling/psychotherapy. Certainly, dream work facilitates self-understanding and the resolution of longstanding issues, but if you need ongoing clinical services, then the dream group will not alone suffice. 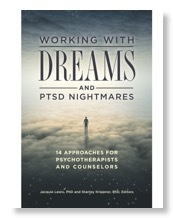 If you are in already in therapy, or planning to commence counseling soon––and your therapist believes the dream group will supplement your work––then I will be happy to talk to you about participating in the group. If you wish to be considered for a group, please email me so we can schedule a brief Skype or phone session so we can discuss your goals and prior experience in dream work.